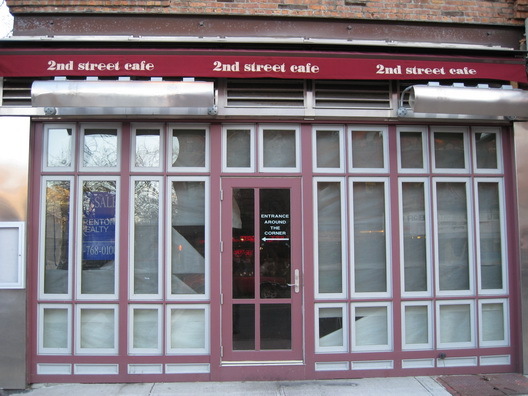 A big "for sale" sign is now gracing the window of the defunct 2nd Street Cafe on Seventh Avenue. The space on the market via Brenton Realty, which doesn't appear to have an online listing up for it. 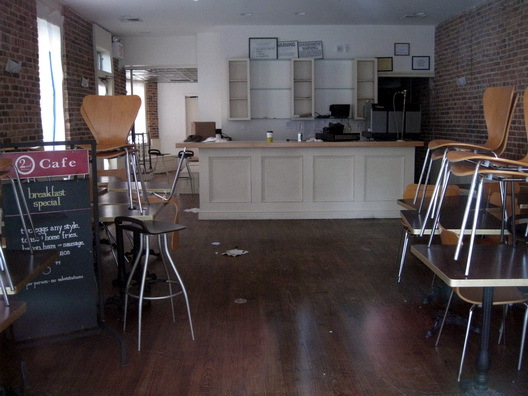 In the meantime, some of the paper has been peeled back, allowing a glimpse into the former Park Slope restaurant. I had no idea it had closed. That's too bad, it was a decent place. Hopefully it's not destined to become a bank. 7th ave is so dead!....one shithole after the other. What the F! I feel as if I was just thawed out after my posthumous cryonic preservation. 2nd Street Cafe AND Red Hot?! These places were ALWAYS mobbed.